Last week I won an auction on eBay and I go my first Macintosh SE. I started it up and soon I discovered it was perfect in its simplicity, both in design and software. Less than 1 MB for the OS. Black and white 9 inches display. Clear and readable fonts. Great attention to details. Of course others aspects were not so good as well. No ethernet network, no Internet, no browser, no email, no calendar and cell phone sync. That machine make me think of Web 2.0 and what it really means to me. Macintosh SE has really advanced features for that time and the same characteristics are equally amazing now. 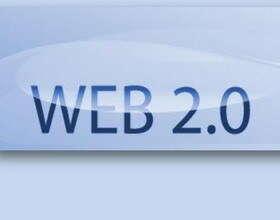 Is Web 2.0 a new way to conceive and design UI and code? Often Web leaders talk about 2.0 as a shift in the paradigm, as new way to think about the Internet, more and more as the right place to interact each other, to meet people, gaining fame and fortune. New rising tendencies, new startups setting the standard, new way to exchange services and information. Aggregation – both info and people – get a specific role about new Net-rising stars. Who first understood that, first got millions of aficionados transformed into users – the registered ones – attracting advertising and media companies. I always try to view the version 2 of the Web as something that simplify my daily life through the Internet, leaving my old emotions in terms of taste, style and feeling untouched. For me it’s like using a stylish and old fashion car of the 60s – in Italy we got the mythical FIAT 500 – or an icon of the technology history like Macintosh in 1984, equipped with the best of innovation we get nowadays, behind the scene. Something like “simplicity in usage preserving emotions”. Seamless simple.